Another playing game with the new stuff and wear them inappropriately, no belt, there is a tie to use, so i use it. I don't know about this look, but i love the way I put those metal cuffs and bracelets all together; flat one, emboss one, classic chain one and multi layer one and one big ring was enough. Another friday has come, and about less than 20 days left to go untill the big day of Ied Mubarak, so for you, how is your fasting day so far? i'm lovin the assortment of the bracelets!!!!! 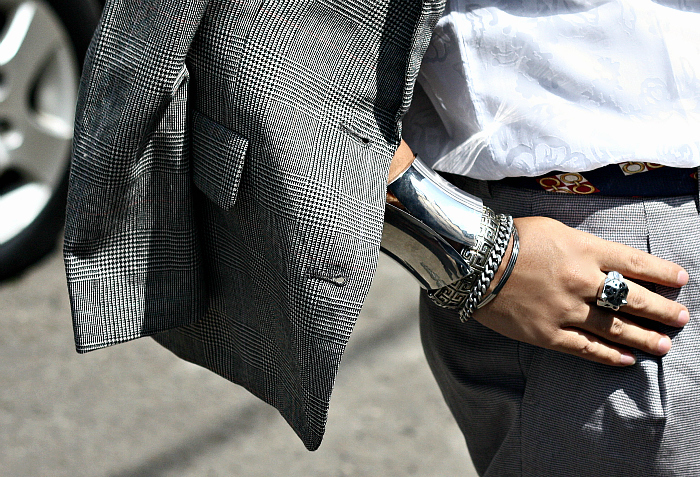 Amazing cuff and bracelets, stylish! 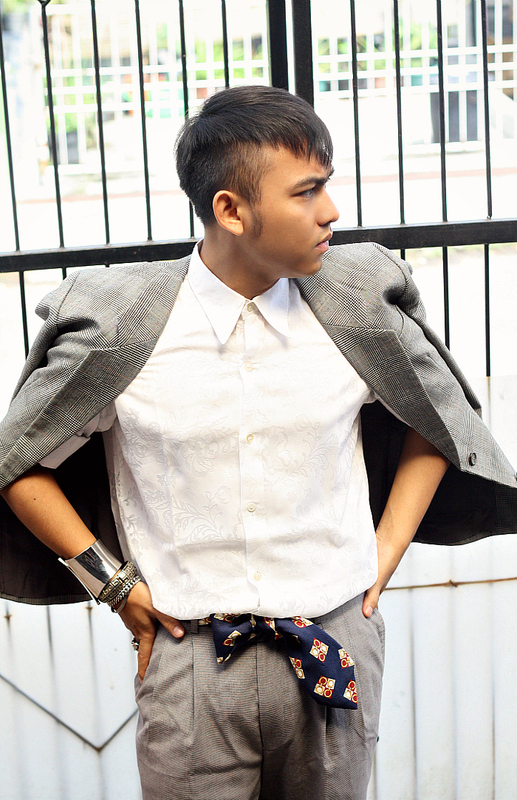 Nice style and Belt of tie!